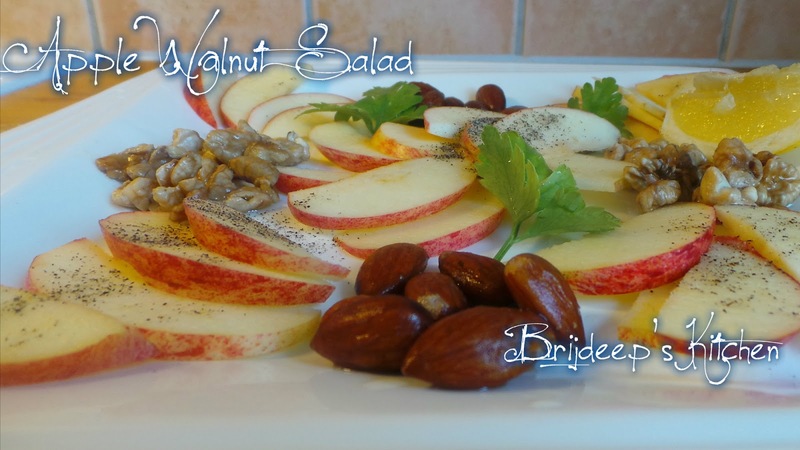 Apple Walnut Salad is one healthy salad without the use of any preservatives, any dressings and all natural, flavorful salad which can be eaten as quick breakfast which will keep you full for long time. Here I'm sharing the recipe keeping in mind for 1 person, the quantity can be adjusted accordingly with number of persons. 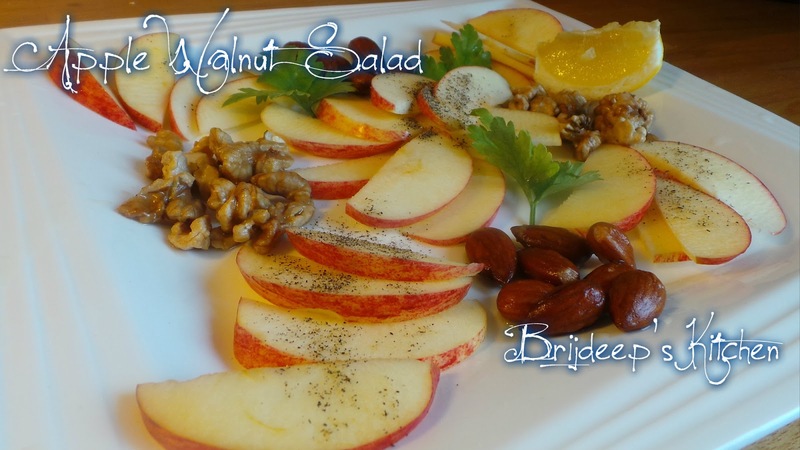 Soak the walnuts and almonds separately overnight. 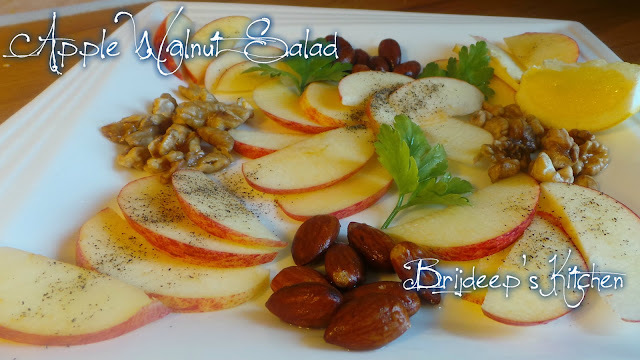 In the morning, drain all the water and add the soaked dry fruits to a bowl of chopped apples. Chop the parsley (or coriander) leaves finely and sprinkle all over. The aim is just to include any type of greens. 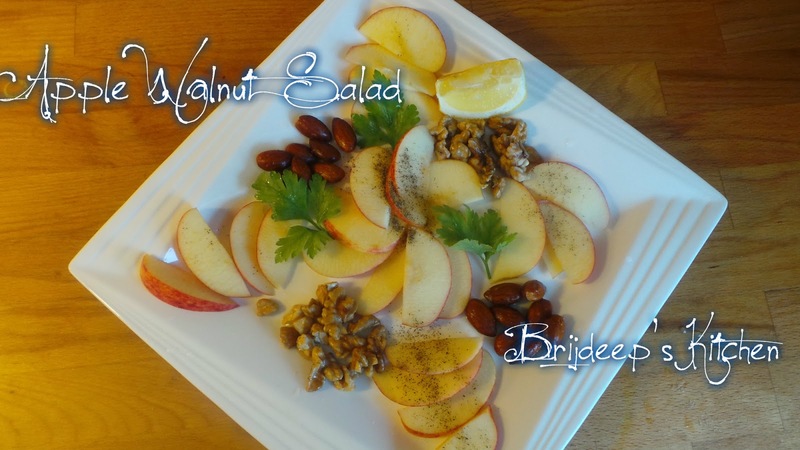 Squeeze the lemon juice over this salad. Sprinkle little rock salt and black pepper. Toss nicely and serve. How I toss salads: cover the salad bowl with another equal sized bowl, hold both the top and bottom bowls firmly and shake for few seconds. Automatic toss !! 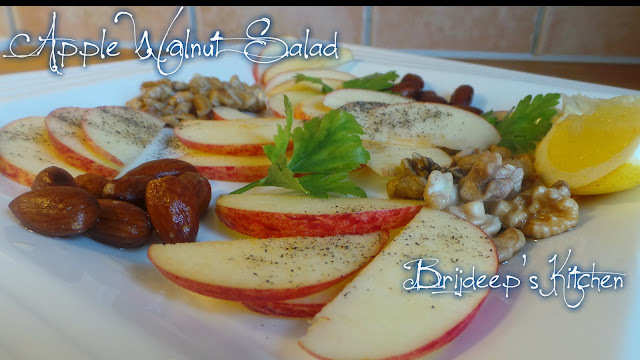 Consume immediately as the apples start blackening after a bit. Enjoy health breakfast ! !